Our excellent team of highly trained, certified and professional technicians work hard to get you back on the road as soon as possible. We are ASE certified and updated on a constant basis to provide you with the highest quality of service. We are a modern repair facility. We use the latest computer hardware and software to diagnose your vehicle. We work on all makes and models and can handle all of your car care needs. Our experienced technicians make a conscientious effort to keep a watchful eye for existing problems and ones that might affect your automobile in the future. At Dave’s Ultimate Automotive you can expect to find friendly highly knowledgeable, trained and ASE certified professional techs. Our family owned auto repair facilities use only the most up to date technology and computer hardware. 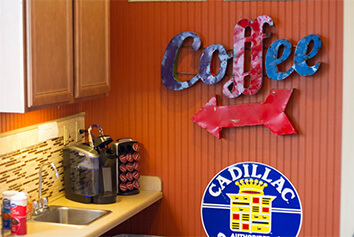 From the first step you take when you walk in the door, you’ll know “Dave’s was the right choice!” Our auto repair shops have an unparalleled reputation in the community for being modern, reputable, and delivering only the best service! Our excellent team takes pride in our ability to offer only the highest quality service and the most modern facilities. Using the latest computer hardware and software to diagnose your vehicle we work hard to find small problems before they turn into big problems, and big headaches! We are so confident in our good work that many of our repairs are covered for as long as you own your car! 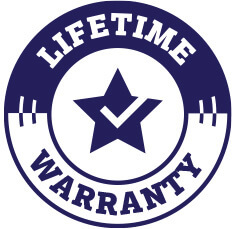 Learn more about our industry-leading 24 month/24,000 mile warranty and how to qualify for a lifetime warranty on repairs. 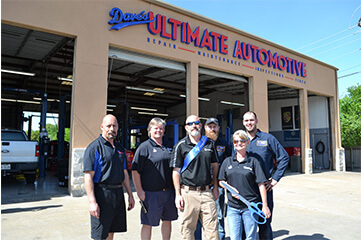 At Dave’s Ultimate Automotive we have six convenient locations to serve you better. At each one, you can be sure you’ll find friendly ASE certified techs who care about your car as much as you do.